One thing that makes using NYR Organic skincare easy is that there are different skincare lines for different skin types. Frankincense for aging. Palmarosa for oily & combination. Orange for dry skin. And Rose for normal skin. Here are the products included in the normal skin line. This list will get you all set up with organic products for normal skin. A person with normal skincare has two choices here. There is the traditional Rose Facial Wash or the Deliciously Ella Facial Wash. So what are the differences? The Deliciously Ella Facial Wash is a much newer product. “Created and loved by Deliciously Ella®, this beautiful facial cleanser gently removes dirt, daily grime and make up, leaving your skin feeling fresh and clean. Rose, lime and cucumber combine to lift your spirits and give your skin a natural radiance.” This facial wash smells so yummy! It is a much more complex scent than the regular Rose Facial Wash.
Serums are fabulous because they include a higher concentration of active ingredients. They go directly after the toner. In fact, when you use toner the serums will soak in better because your skin is properly prepped and so you use less toner. Facial oils have many benefits. They can deliver moisture, help other products work more effectively, and balance the natural oils in your skin. There are two particular products we have for normal skin. Rose Facial Oil This facial oil replenishes and restores radiance to NORMAL SKIN! “Precious damask rose infuses a luxurious combination of organic skin-nourishing oils, rich in essential nutrients, antioxidants and vitamins, to help replenish moisture levels and boost skin’s natural radiance. You would use this before moisturising for a revitalising boost, excellent for dry or dulled skin. Moisturizers are a MUST. If you do three things, you should at least be doing a simple cleanse, tone, and moisturize. Here are three moisturizers that work well for normal skin, two more for day and one for night (although you can use them whenever you please). Beauty Sleep Concentrate This is an amazing night cream. I like to call it the gateway night cream because it is so easy to use that I usually suggest it for people who are newer to proper skincare. The pump and go makes it super easy! I love the smell of the essential oils of ylang ylang, orange, and patchouli. It was scientifically formulated to support your skins natural night time regeneration. I wrote a whole blog post about this product here. Exfoliating is an important part of skincare, to get some of the dead top layer of skin off. You should exfoliate 1-2 times a week. We have several exfoliators. Anything that has the word “polish” in it is an exfoliator that has smaller grainy particles than a scrub. 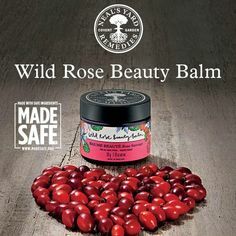 The Rehydrating Rose Facial Polish has “antioxidant milk thistle and aloe vera combined with gently exfoliating wild rose seed powder to leave skin smooth, enriched and revitalised.” This is great to keep in the shower and use a couple times a week for super soft skin! This category is for any other products we have that don’t fit in the above categories. Rose Facial Oil. This is described above, but you could always use this as more of a facial treatment instead of (or in addition to) daily use. Since these products are so nourishing and the ingredients are so healthy, you can apply liberally as a face mask one night and then gently remove any excess after a while. Done! Rose Formula Hydrating Eye Cream. We have three eye creams in our product line. The Rose Formula Hydrating Eye Cream is for all skin types. It is replenishing, strengthening, and nourishing to the skin. And it smooths the appearance of fine lines and wrinkles. There you have it! A summary of all of our products for our Rose/Normal skincare line. Please realize that you can mix and match across the lines. Especially if you want to add in some Frankincense for aging skin and maybe some spot treatments for a blemish or the Honey & Orange Facial Scrub on occasion. Do you have a question? Just comment to ask below or come join Alicia’s Organic VIPs on Facebook where we have tons of fun!